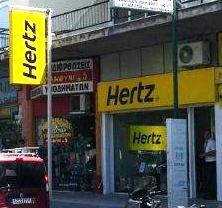 Имея крупнейшую частную сеть, Hertz Autohellas может покрыть все потребности в аренде автомобилей в Греции, на Кипре и на Балканах. Откройте для себя некоторые маршруты, которые мы запланировали для вас, а также достопримечательности и информацию о дорожной сети, которые будут чрезвычайно полезны для вашей поездки! Афины – один из древнейших городов в мире, город Перикла и Сократа, город, где родилась демократия и произошел расцвет искусств и письменности. В современной истории Афины – это туристический и деловой ориентир миллионов людей со всего мира. Характерным признаком Афин является священная скала Акрополя, на которой вот уже тысячи лет величественно возвышается храм Парфенон. Как большая площадь Афин, так и достопримечательности города требуют наличия автомобиля. В сфере аренды и проката автомобиля в Афинах Вы можете полностью довериться компании Hertz – крупнейшей в Греции компании по аренде и прокату автомобилей. 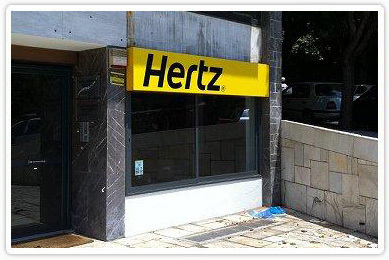 Hertz является единственной компанией, располагающей в Афинах 9 станциями обслуживания – проката и аренды автомобилей. 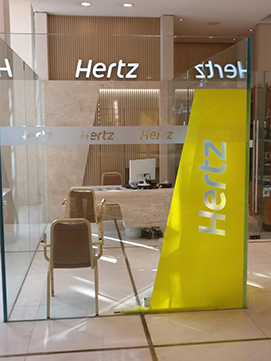 На станциях аренды Hertz Вы можете взять в аренду автомобили типа 4х4, многофункциональные автомобили, микроавтобусы, а также автомобили среднего размера и маленькие экономичные автомобили. Благодаря большому количеству станций обслуживания, нас легко найти в любой момент при необходимости арендовать автомобиль или же возвратить арендованный автомобиль на иную станцию обслуживания, нежели та, в которой он был изначально арендован. Также Афины могут стать для Вас базой, из которой Вы будете отправляться на полнодневные автомобильные прогулки, ведь в радиусе 150 км от города находятся уникальные памятники и достопримечательности, а также проходят удивительные, заслуживающие Вашего внимания маршруты. И все это, конечно же, возможно при аренде автомобиля компании Hertz. It’s almost impossible to see all the attractions in Athens unless you have a lot of time in your hands! This is not an overstatement, since this is a city with a 3.000 year history, the capital of an entire country with approximately 4.5 million people and the mother of the Classical spirit that led to the establishment of the Western Civilization. Below, you will find a list with the most significant attractions in the city. Millions of people from all over the world are visiting the Acropolis every year. It’s one of the most significant monuments of the world and it’s considered a symbol of the ancient Greek spirit. The Parthenon, Propylaea, Erechtheion, the Theater of Dionysus, the Archaic Temple of Athena, the Herodium and the Temple of Athena Nike are the center masterpieces of the sacred rock. The new Acropolis Museum is one of the highest profile projects in the world for this decade and it hosts about 4.000 sculptures and artifacts found on and around the sacred rock. The museum is about 14.000 square meters and it is only 280 meters away from the Acropolis. It has a café, a restaurant, a shop and many thematic exhibitions within its premises. The museum is located in the historic/archeological district of Makriyianni, at the entrance of the beautiful pedestrian Dionysiou Areopagitou Street, which unifies the archeological sites of Athens and ends up in Thiseio, having the Parthenon as a background. Plaka is an old, picturesque neighborhood that belongs to the historical district of Athens and it’s situated in the foot of the Acropolis. It has mazy pedestrian narrow streets, with souvenir shops, traditional taverns, beautiful neoclassical mansions and buildings –some refurbished and some abandoned- Byzantine and Metabyzantine churches and small chapels, old huts, ancient relics and the ever-impressive view of the Acropolis and the Parthenon. All these simply compose the magical picture of this unique Athenian neighborhood. There are many entrance-streets to Plaka, through the pedestrian Dionysiou Areopagitou Street, few meters away from the New Acropolis Museum. Other ways to access Plaka are through the narrow streets on the right of Filellinon Street and Amalias Avenue. The Anafiotika quarter, built by Anafians (from the Cycladic island of Anafi) just above Plaka, is nestled in the rocks of the Acropolis. Authentic, perfect for strolling, quiet and romantic; it reminds us of a Cycladic island. Aerides is an octagonal solar and hydraulic clock (1st century BC), which was officially called Clock of Andronikos Kyrristou and it is located at the end of Areos Street. The monument of Lysicrates or “Diogenes’ Lantern”, which is a small circular building from the 4thcentury BC. The churches of Agios Nikolaos Ragavas (11th century) and of Metamorphosis (14th century). This is another picturesque neighborhood in the historical district of Athens, with flea markets of leather products, jewelry, souvenirs, electrical appliances, antiques, vinyl discs and old books. Monastiraki is situated on the left of the second part of Ermou Street. Its entrance landmarks are the Old Mosque, the Roman Library and the train station. The neighborhood of Psyrri is across from Monastiraki Square, in the narrow mazy streets. It used to be a degraded commercial and industrial area. However, within the last 10-15 years it became the new Athenian hot spot, due to its picturesque ambiance and the numerous taverns, cafes and bars that opened there. This is a major archeological site with a small museum at the end of Ermou Street. The findings that saw the light of day after numerous excavations come from many different periods, such as the Mycenaean, the Classical and the Roman. This is an extraordinarily preserved, small ancient temple of the 5th century BC, in the borders between the homonymous district and Monastiraki. A two-story, elongated building from the Roman era, used as a market. Today, it operates as an exhibition hall with findings from the Ancient Agora. It’s impossible to miss the tall ancient columns of Corinthian style, just behind the massive Adrianos Gate, when crossing Amalias Avenue. The Gate and the Temple were built by Emperor Adrianos on the 2ndcentury AC, even though the Temple has been there since the 6th century BC, but it was not as massive as it later became. Its final dimensions were as follows: 110 meters length, 43 meters width and with 104 columns! Exhibits through the entire specter of antiquity are displayed in a beautiful neoclassical building in Patission Street. The Archeological Museum of Athens and the New Acropolis Museum are the biggest ones in the Greek capital. A complex of Archaic-style neoclassical buildings on Panepistimiou Street. Located between the two most centrally located squares in Athens, Omonoia and Syntagma, they all constitute a very distinctive city view. The Lycabettus Hill is the most famous one in the Attica basin. It has an altitude of 265 meters and it’s the second highest, after Tourkovounia (323 meters). Access is easy by foot, by car or by the picturesque funicular railway that departs from Ploutarchou Street in Kolonaki and goes all the way up to the beautiful chapel of Agios Georgios. Atop there is ample parking space, a nice café and a cantina. The view of Athens is simply spectacular, day or night. After Vouliagmeni, which is the last municipality within the limits of the capital on its south-southeastern side, the coastal Poseidonos Avenue was renamed Sounion Avenue and leads to the major archeological site of Sounion, after about 40 kilometers. Parnitha is the highest mountain in the Attica basin (1.413 m.) and it has been declared as a national park. Even though the catastrophic fire of 2007 destroyed almost 2/3 of its forests, nature managed to be reborn and today Parnitha still offers its unique views to the basin. The route Varympompi-Sfendali is really worth a road trip. A Casino (and hotel) operates right on top of the mountain, which can be accessed through the brand new aerial cableway. The archeological site of Elefsina is situated on the 78th kilometer of the Athens-Korinthos National Highway. From there you can continue your visit in the touristic area of Isthmos. In just 5 kilometers by car you will stumble across the beautiful seaside town of Loutraki, renowned for its quality and quantity of spring waters, as well as for the long pebbly beach and of course the Casino. If you want to enjoy the southern coastal side of western Attica, you should definitely follow the old National Highway. Я прочитал и принимаю политику конфиденциальности сайта. Чтобы завершить процесс восстановления пароля, проверьте свой электронный почтовый ящик.